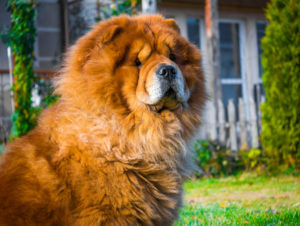 Chow Chows are a sturdily-built, double-coated dog that has fur resembling the mane of a lion. Although Chow Chows are routinely kept as pets, many insurance companies have them on their list of high-risk dog breeds because of their tendency to become over protective of their owners and because Chow Chows often react aggressively towards strangers. In fact, Chow Chows have been responsible for seven deaths and 53 attacks involving injury between 1982 and 2010. Chow Chow attacks can cause serious harm and, in some cases, can result in death. If you have been attacked by a Chow Chow or if you have lost a loved one due a Chow Chow attack, it is very important that you contact a dog bite lawyer as soon as possible. At Simmons and Fletcher, P.C., our dog bite lawyers have represented many victims of attacks by Chow Chows and other aggressive dog breeds. Contact us today to learn how we can help you and to learn more about your rights under Texas law in the event of a dog attack. Call 713-932-0777 or click here to contact us today for your FREE consultation. When a Chow Chow attack occurs, serious injury can result. A dog attack can cause bone fractures, cuts and bruises, brain injury as a result of being knocked down in the attack, disfigurement, and death. When the owner is aware of the dog’s dangerous propensity, the owner of the dog may be held responsible for the costs of these injuries, as well as for any pain and suffering endured by the injured victim. To learn whether you can hold the dog owner responsible in your dog attack case, it is advisable to speak with a Houston dog bite lawyer. If you have been bitten by a Chow Chow, contact Simmons and Fletcher, P.C., today to learn how we can help you. Call us at: 1-800-298-0111 for a free consultation.